Are you ready for the crap life throws at you in the near future? Trying to anticipate threats and manage your strengths to combat those threats are crucial to success. My father owned a radio station for years. He purchased an AM station in the early 70’s, and in that time, it was one of the biggest radio stations in the area, and when FM radio came out, his station really took a blow. My father did a great job dodging all the obstacles FM threw at him. He was a great sales person, one of his biggest strengths. He could sell anything to anyone, and he did. Despite FM’s popularity, my father still had a great listening audience due to his high involvement in the community. But FM was a threat and not having an FM station was a weakness, and had he done a SWOT Analysis in the 80’s, he could have prepared himself for the future better with a plan to acquire an FM station. But he didn’t, so he gave his AM station to the church and got a job for an FM station… where the owner owned an AM station like him, but unlike him, acquired an FM station. 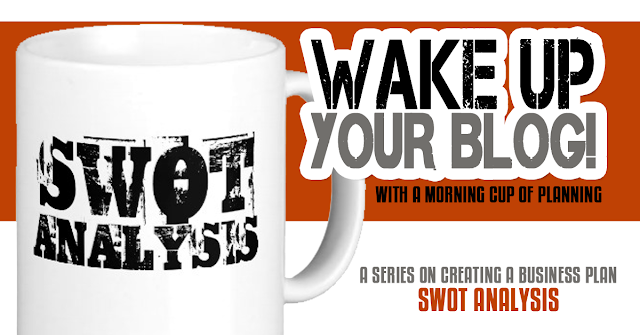 The SWOT Analysis is part of a series on building a business plan for your blog. The SWOT Analysis takes a look at your Strengths, Weaknesses, Opportunities and Threats. Strengths and weaknesses are internal while opportunities and threats are external. In the blogosphere, bloggers generally have 2 customers: Readership and Sales. You may want to do a SWOT Analysis for both in order to best get an idea of where you are. The strengths section of the SWOT analyzes the things that make you awesome to your target market in your industry. Take a look at that closer. You want things that make you awesome. But you also want them to be things your target market actually wants. You also want them to be things nobody else is really doing in the industry. What is the point of having an awesome thing to offer people if they can get it anywhere else or if they don’t want it? What advantages do you have over anyone else? What unique or low cost resource do you have access to that not many others have? What factors actually “get you that sale”? Now you want to find ways to utilize those strengths. How can you re-enforce these strengths? What can you do to make them stronger? Stand out better? Are there any strengths you want to adapt better to the environment? Can you tweak a strength to be more exclusive to you? How much does your target market want your strengths? What emotion does your strength appeal to? You can use your list of strengths for when you create a business plan, various aspects of a marketing plan and your value proposition. Weaknesses are internal things about you, your blog, and your business that could use a little work. While you want to try to list all the weak points you can find, you want to highlight the ones that are very important to your success. For instance, a weakness for Moms Who Drink and Swear might be that she has really bad grammer, but it’s not necessary for her success to write with proper grammar. In fact, a lot of her reading base likes the bad grammar, and it adds to her unique style of writing. At the time of writing this, however, one of her weaknesses that she publicly professes is that she isn’t writing enough. She’s busy, and she doesn’t have the itch anymore to write, and she has explored ways to increase blog post and social media engagement during this temporary time in her life. I love using Moms Who Drink and Swear as an example because she is the first to identify her own weaknesses with pride. She makes being less than perfect a cool, awesome thing. Better to be honest with ourselves than be delusional. What factors “lose the sale”? What is the competition doing that’s better than you? What is a goal you are not achieving? How can you better achieve that goal? What are you not doing? Or what can you do better? While answering these questions, if you find one item on your list that is a strength everywhere else (or not a weakness at all), it’s imperative you fix that weakness. For instance, if your weakness is that you don’t have a social media outlet for your blog such as a Facebook page or Twitter account people can hook up to find you, you might want to change that because everyone else is doing it on their blog, and a lot of readers expect that. Having the ability to share posts with a click of a button is also another thing everyone else is doing that you probably want to do with them because it’s annoying, as a reader, to waste time looking for a share button that’s not there. So what weaknesses are everyone else doing well? What weaknesses are most interfering with your success? What weaknesses would your readers like to see improved? Can any of your weaknesses be turned into strengths? Is there a way to offer something slightly different that hurdles the weakness? What can you do to improve on the weaknesses? Is there anything you need to learn or find training opportunities? You can use your list of weaknesses in product development, pricing strategies, goals and objectives. Opportunities are external things that may present an opportunity for you to take advantage of. You are looking for cutting edge trends and things that are happening or about to happen within your industry and target market that you want to be on top of. What kind of opportunities do you see that you want to take advantage of? Is there a huge deficiency in the industry to solve a consumer problem? Is a new market revealing itself? What do you think is going to be the next big thing? What is something the competition really stinks at doing that you can do better? Are there going to be any changes to technology or laws that you might be able to take advantage of? Tribe: Finding a tribe of bloggers (or belonging to one) for networking and writing opportunities. 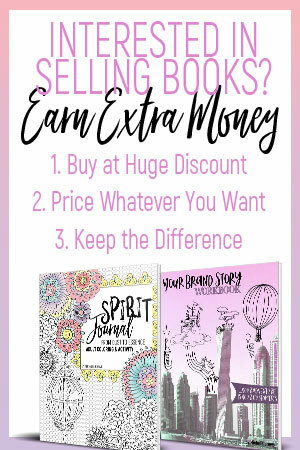 Example of a good tribe is Beyond your Blog for writers looking to get featured in other websites, or SITS Girls for bloggers seeking sponsorship opportunities. Industry increase in computer users. From the Industry Analysis, we know that a good possibility exists for more users as the internet becomes more available. Most of these users will probably be in other countries, so the opportunity to reach a more global market is on the horizon. Increase in tablets and mobile phone use. We know as these products are being improved and more available, opportunities exist to take advantage of the new trend in technology by catering more to mobile use such as Twitter Focus (mobile users seem to prefer Twitter when bored waiting somewhere because it’s short and quick). Optimizing your blog design for mobile use. A gap in the industry serving consumer needs: For example, someone noticed the trend in adult coloring and noticed that nobody was making adult coloring pictures with cuss words on it, so that person made it happen. In these opportunities, which ones do you want to take advantage of? How do you plan to do it? Which ones have you already taken advantage of? How are you doing it? You can use the opportunities listed here when developing your value proposition, marketing campaigns, goals, web content, and product expansion. Threats are external things that threaten your ability to succeed. These are things you are going to want to have a plan to handle. What are your competitors doing that might interfere with your success? Is new technology threatening the way you do business (like how FM killed the AM radio star)? Are there trends or laws requiring more than what you currently offer? Are any of your weaknesses threatening your success? Trends going against your grain (like if you blog about alcohol, an increase in anti-alcohol campaigns would pose as a threat). Explain your strategy to hurdle through the threats. Is there any way to differentiate your product for a competitive edge? Or in case a trend interferes with your grain? Any marketing ideas to thwart issues before they arise? New products you might want to pursue? Like if you are still using Blogger, do you want to go to WordPress? Any goals you can make or a new focus? Can pricing affect the situation? Should up your price? Or reduce it? Places to use your Threats List include product development, the marketing plan, goals and strategy. Now you got through the SWOT Analysis, I hope you have a better idea of where you want to go with your blog or business. You know you want to Pin this awesome post for all your friends, so go ahead!!! Found more swot analysis diagram examples like facebook, google, apple and amazon in creately diagram community . There are 1000s of templates and examples to be used freely.